Chennai: The Chief Minister of Tamil Nadu Jayalalitha assured to the operators that the Arasu cable TV corporation ltd (ACTCL) would be functioning with in a month. In a meeting with representatives of sixteen cable TV operators’ associations, Jayalalithaa, responding to a request from the operators to revive ACTCL before the local body polls, said, they would not have to wait till the polls. With a view to posing a formidable challenge to the Sun TV-owned Sumangali Cable Vision (SCV), the government is planning to provide cable connection to Chennai city residents at Rs 100 a month and to those in rural areas at a lesser amount. Senior ministers and officials were present at the 30-minute meeting. Jayalalithaa has instructed state information technology (IT) department officials to take all necessary steps to ensure flawless service by ACTCL. 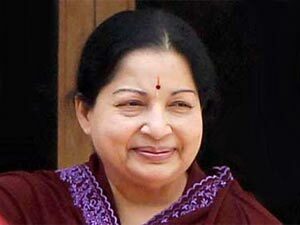 Responding to a specific request to provide them security from private Multi System Operators (MSOs), Jayalalithaa said the state was committed to ensuring the security of cable operators, one of the cable tv operators says.